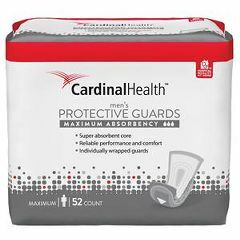 SureCare™ Guards For Men, Super Absorbency, 6-1/2" x 13"
Soft inner facing feels dry to the skin. Inner blue barrier cuffs help prevent leakage. Special design creates a comfortable pouch. Wings Polymer-Impregnated Tissue Underpads 30" X 36"
Wings Quilted Moisture Vapor Permeable Underpads -30" X 36"